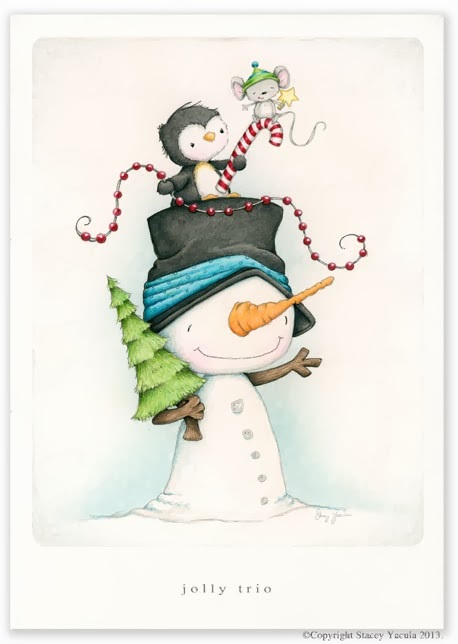 stacey yacula studio: Jolly Trio! makes the coming winter seem so much fun! Barb… you are so sweet to share such kind words with me! I am delighted you enjoy my creations!